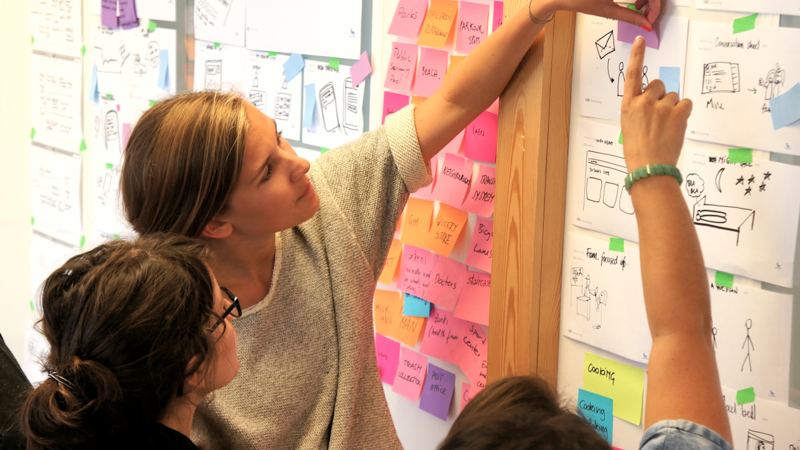 21st September 14.00 – 15.00 Eilidh (DCAD alumni) and Helle from The Copenhagen institute of Interaction Design (CIID) Consulting will be presenting in the Master of Design for Services Studio. They are interested in recruiting a paid intern, from January for 6 months, with possible future employment. If you are not a current DJCAD Masters student, but wish to attend – please leave your name in the comment box below to give us an idea of numbers. As Lead Service & Interaction Designers at CIID Consulting, Eilidh (DCAD alumni) and Helle will introduce the companies new professional internship programme that will commence in January 2013. To give you a glimpse into the life as a CIID design consultant they will talk about their experience and the culture of working in a fast paced, cross disciplinary consultancy, the diversity of projects and clients they work on/with and the opportunities you are exposed to throughout the work. They will showcase recent awarding winning projects done in collaboration with Toyota and Novo Nordisk and highlight explorative design research methods, visionary concepts and provocative storytelling methods. People-centred: Our creativity is fueled by an approach to design and innovation that puts people first. We examine how people live, work, learn and grow as the first step towards inspiring new thinking about products, services and experiences that transform businesses. Tangible: We have a passion for moving our ideas from concept to prototype as quickly as possible. Making ideas tangible — in as many iterative forms as necessary — tends to reframe the question and uncovers unforeseen opportunities for innovation. Visionary: Everyday, companies make predictions about what’s coming next. CIID uses scenarios and visual storytelling methods to imagine the future faster and to enable researchers, designers and strategists to make more informed business decisions. Hi Hazel. I would really like to attend this lecture. Hi, I would gladly participate as well. Hi Maria – are you able to join us in Dundee? Hi Charles – are you in Dundee?